JASPER -- Jasper Endows Today & Tomorrow (JETT) hosted a “Will Read & Sing for Food” event December 1st at the Historic Calumet in Jasper, Indiana. “All of these charitable gifts would not be possible without the matching partnership of JASPER and our generous membership,” added Balsmeyer. “Couple that with several member-driven fundraising events, and we are blessed to be able to support our community’s non-profit organizations. 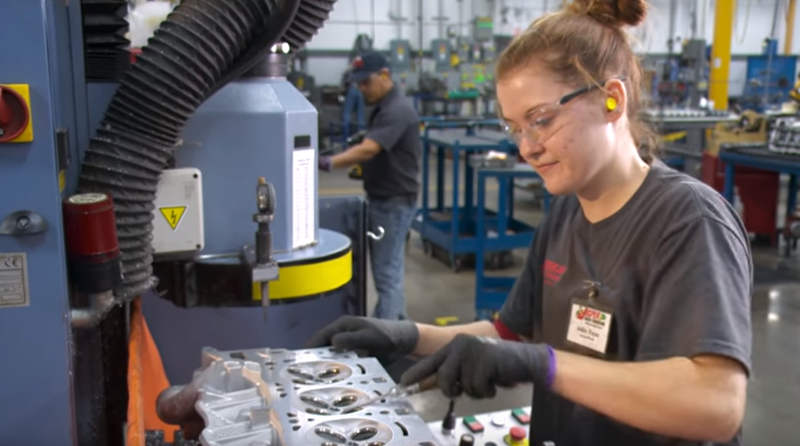 JETT is a giving circle for Associate-Owners of Jasper Engines & Transmissions, and their families, that focuses on pooling resources, creating a greater combined impact on our communities. Our goal is to learn more about philanthropic opportunities and support those organizations that promote smart giving. Over 500 volunteer hours were also donated by JETT members this year. Each year a portion of member donations goes to building the JETT endowment, which currently totals over $200,000. JETT membership has steadily increased from 29 members in 2013 to 122 in 2018.